We played a part in the reconstruction of this sprawling Baroque pleasure ground on the south side of the palace. 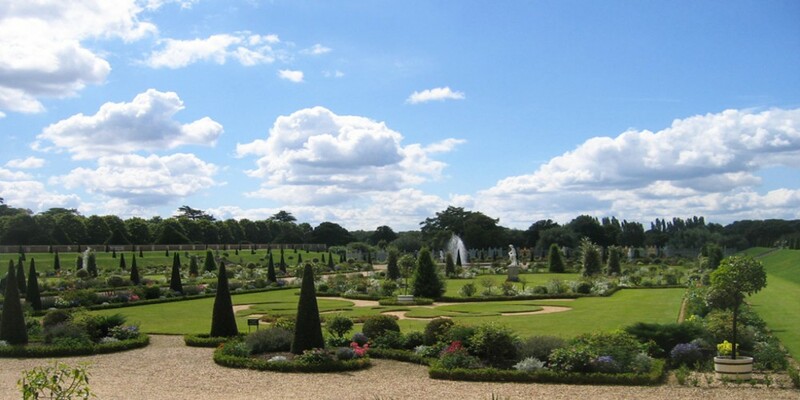 The great two-hectare parterre is embroidered with box and gravel arabesques, pierced by a basin boasting a jet d’eau, dotted with yew sentinels, urns and statues. The tout-ensemble evokes the gardens as they were created in the late c17th by King William III and Mary II.